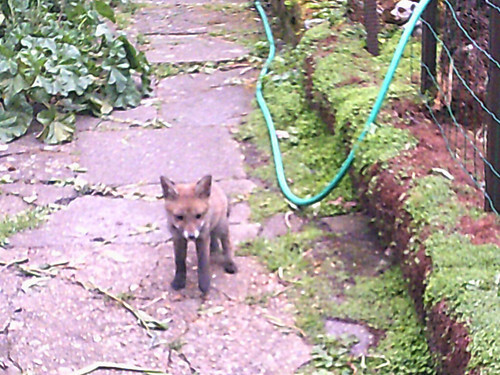 The cubs from next door have found a way into our garden, and have starting appearing on the trail camera... sometimes even before dark. 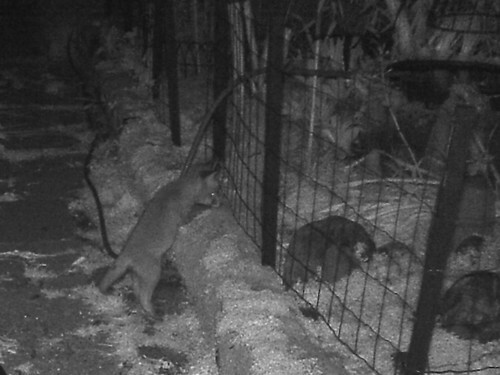 One showed up at around 8:30pm, and then again at around 2:00 in the morning exploring around the pond, (we've put extra wire mesh up to try and keep them from falling in). Looks like I'm going to have to do some 'puppy-proofing' around the garden to keep them safe... mainly making sure there's no gaps that would allow them to get out onto the roads. So far they appear to be well-fed and healthy. A great record. 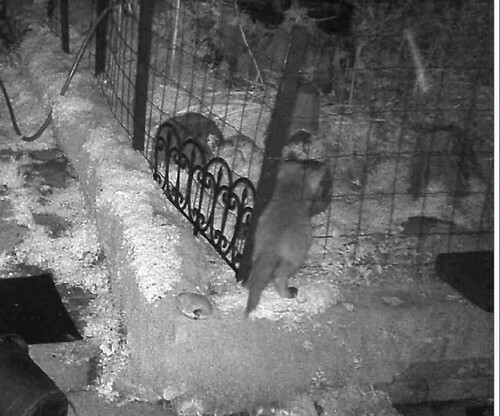 Haven't seen any cubs yet this year but the way into our garden is via a wall of about 5 feet or so. The adults seem to glide over it but I think it will be too much for the cubs for a while. In any case, someone is going to be in for a rude shock in a few weeks once he grows a bit! I have visions of me rushing out at 3:00 am in slippers and dressing gown to try and free a stuck fox cub. Not looking forward to it... they have sharp little teeth. Hehe . That's a good one.